Audacity, free and open-source audio editing and recording software, reached the new major 2.2.0 release a few days ago with great new features and tons of bug-fixes. Four supplied user interface themes, and customizability of themes for advanced users. Thorough update of the manual with new images, more hover texts, and more cross-references. The Audacity team does not offer pre-compiled Linux binaries. 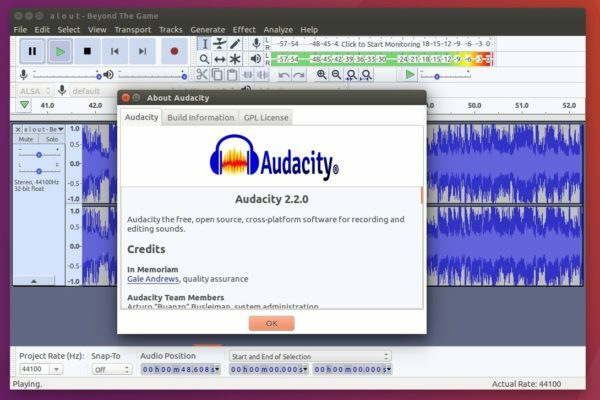 Besides building from source, a third-party PPA is available with Audacity 2.2.0 for Ubuntu 16.04, Ubuntu 17.04, and Ubuntu 17.10. Can you also make Audacity-2.2.0 for Trusty 14.04 LTS? 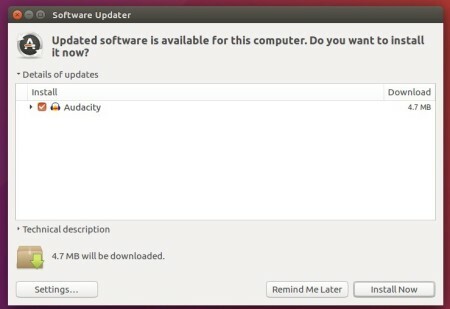 Sorry can’t build for Ubuntu 14.04. There may be outdated dependency libraries. I’ll try it when I’m free. Thanks for compiling and sharing this valuable tool with the community. It was needed. The install suggests LADSPA but does not seem to install it. Is there a PPA for LADSPA? Or for LAME or any of the other Audacity plug-ins? Walls. Then re-launch Audacity to be able to enable the plugins. Please, update builds in your PPA!